In the Spring of 2010, MOCA's Cheryl Willis Patten and Roland Jordan went to Augusta to meet with representatives from the Maine Office of GIS (MEGIS), the Maine Historic Preservation Commission, and several Maine archaeologists. MEGIS is the steward of the Geographic Name Information System Data (GNIS) and is responsible for locating mountain peaks, churches, airports, cemeteries, dams, hospitals and schools in the correct locations on the maps. At that time one of the most poorly represented items on the maps was cemeteries. 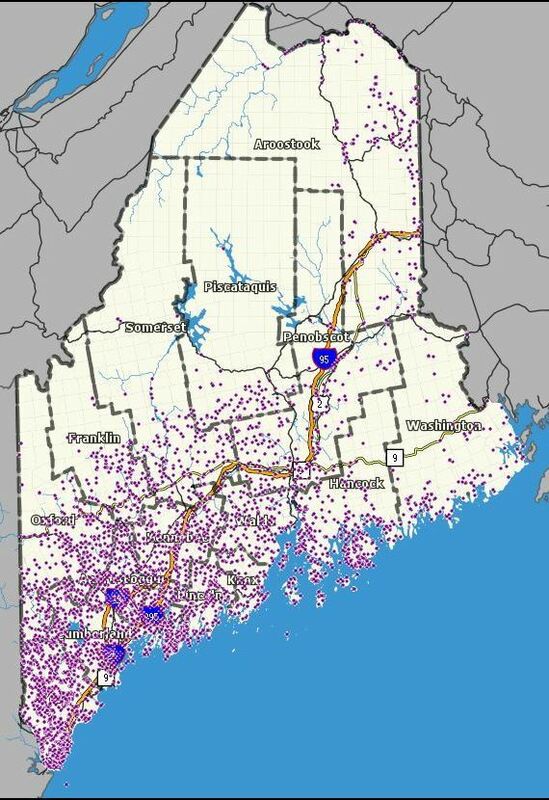 One of the goals of MEGIS was to change that and to place as many cemeteries as possible on the Maine maps. The Maine maps are then used to update USGS and national maps. Through the efforts of volunteers, MOCA had gathered and was able to share the locations of almost 7,000 cemeteries. The site's search tool facilitates searching for cemeteries by town, cemetery name, MOCA code, and GNIS ID. Search results include links to cemetery transcriptions in PDF format where available. Find A Grave currently contains information for over 400,000 cemeteries in over 200 different countries. Find A Grave has at least a partial listing of graves for over 250,000 of these cemeteries. Site search tools facilitate searching for a cemetery by state/county or locating a memorial by name. As a service to their customers, American Concrete Industries offers links to Maine cemeteries including maps and/or directions where available.